Jaito/ Bathinda (Oct. 21): Sikh leaders today said that the police theory about Bargari Beadbi case was highly doubtful and unreliable. 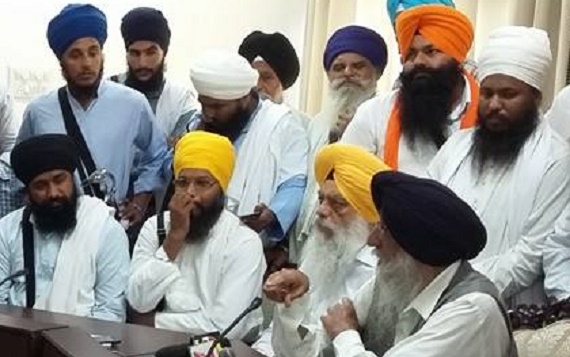 Addressing separate press conferences Shiromani Akali Dal Amritsar (Mann) president S. Simranjeet Singh Mann and Sikh leader Bhai Daljit Singh Bittu rejected claims that arrested Sikh brothers from Panjgarian village were behind the beadbi of Guru Granth Sahib at Bargari village. Speaking to press reporters at Bathinda, S. Mann said that the police has presented no solid proof to support their highly dubious claims. He said that if the police claims were true they should tell where is the other Angs of the Saroop of Guru Granth Sahib and it should also establish forensic evidence. He said police theory about ‘foreign link’ to the case holds no water. He said that the police officers responsible for opening and ordering firing on Sikh protesters should be prosecuted for murder. S. Mann was accompanied by Gurdeep Singh Bathinda (United Akali Dal) and representatives of Baba Baljit Singh Daduwal, Amrik Singh Ajnala and SAD (1920). S. Mann also raised question against Sikh preacher Bhai Panthpreet Singh and said that he (Bhai Panthpreet Singh) should disclose details of his meeting with police offer Paramraj Singh Umranangal. He said that Sikh pracharaks may be good in the field of preaching Sikhism but this struggle should be led by political parties. His statement gave an impression that these two factions of the struggle were not able reconcile. Jaito (Oct. 21): Addressing media-persons at Jaito, Bhai Daljit Singh said that the police was framing Sikhs who were part of struggle against beadbi of Guru Granth Sahib. He said that the arrest of Rupinder Singh and Jatinder Singh of Panjgarain village shows that the police and the state is working on to create confusion, frame persons involved in struggle and put all blame on Sikhs. 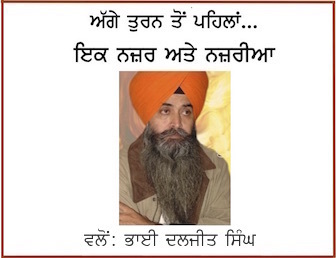 In answer to a specific query by media persons, Bhai Daljit Singh said that police theory was totally unreliable as Angs of Guru Granth Sahib referred in the telephonic conversation were those Angs that were gathered by Sikh sangat from Bargari village and they were kept on a Peera at Kotkapura Dharna site on October 12-13. Bhai Daljit Singh rejected police claims about foreign links to the beadbi case and said that concerned persons from Australia and Dubai have clarified that they had called up Rupinder Singh to send him financial help after reading news about his injuries over social media. 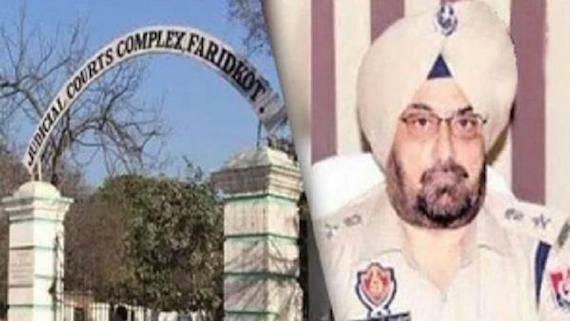 He said that the Punjab government and the police was committing double sin by, firstly, not acting against culprits responsible for theft of Saroop from Burj Jawahar Singh Wala in June and Beadbi of Guru Granth Sahib (believed to be that of the same Saroop) at Bargari village in October and secondly by concocting unrealistic theories to frame Sikhs in these cases. Sikh leader said that the culprit police officers who killed Sikhs in firing on October 14 should be prosecuted for murder along with other administrative officers who had ordered firing on peacefully protesting Sikhs. He said that many facts about firing incident at Behbal Kalan village have not come into light. 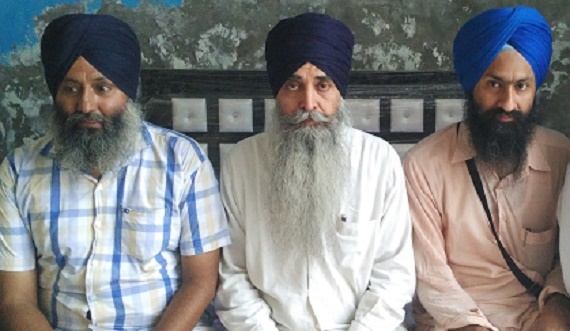 Bhai Daljit Singh, who visited families of Bhai Krishan Bahgwan Singh and Bhai Gurjeet Singh, who were killed in police firing, said that the eye-witness accounts should be brought before the public. He said that firing at Kotkapura and Behbal Kalan village was totally unjustified. He said that Sikh protesters were sitting peacefully at “link road” leading to their village when police used force against them. He said he met many eyewitnesses and injured persons who clearly says that there was no blockage on Kotkapura-Bathinda road as reported by media sections. He called upon Sikh personalities and organizations that were leading this struggle to come on united platform and form a probe panel to hold a reliable investigation and bring forth all the facts before the Sikh sangat. He called upon the masses to remain to show Khalsa discipline in the times of crises and said that the leadership should realize it’s responsibilities and ignore minor difference to form strong front to lead the struggle in a united way.